3. How Do I Teach Religious Education? 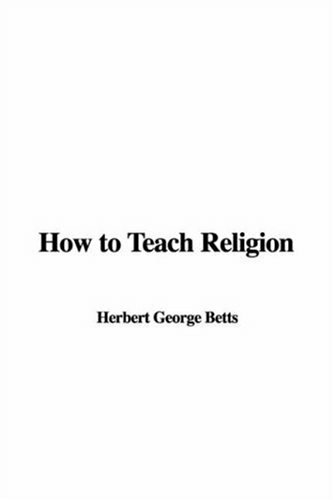 Learning to Teach Religious Education in the Secondary School provides insights from current educational theory and the best contemporary classroom teaching and learning, and suggests tasks, activities and further reading that are designed to enhance the quality of initial school experience for the student teacher. This second edition has been thoroughly updated throughout to take account of changes to policy and the curriculum. 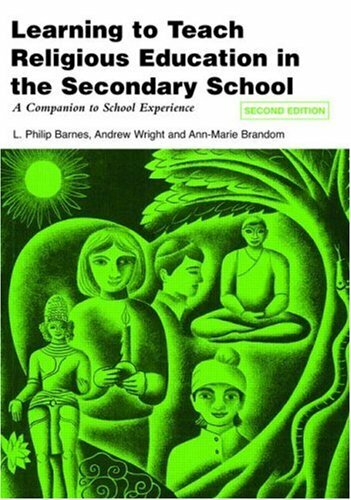 It includes two additional chapters on ‘Religious Education and Citizenship’ and ‘Teaching Religious Education at A level’, as well as new versions of three original chapters ‘Teaching Children with Special Educational Needs’, ‘Religious Education and Moral Education’ and ‘Resources for Religious Education’. Supporting teachers in developing levels of religious and theological literacy, both of individual pupils and the society as a whole, this comprehensive and accessible text will give practising teachers and students an introduction to the craft of teaching Religious Education in the secondary school. This digital document is an article from National Catholic Reporter, published by Thomson Gale on April 7, 2006. The length of the article is 583 words. The page length shown above is based on a typical 300-word page. The article is delivered in HTML format and is available in your Amazon.com Digital Locker immediately after purchase. You can view it with any web browser. 13. 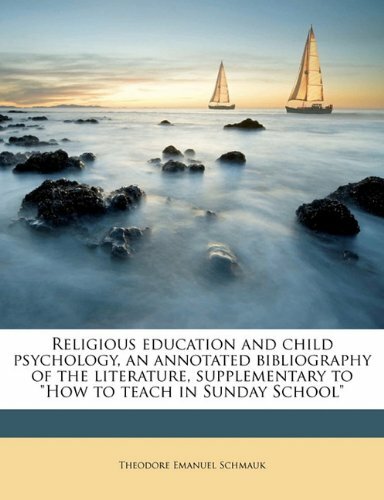 Religious education and child psychology, an annotated bibliography of the literature, supplementary to "How to teach in Sunday School"
Keith Anderson obviously has a depth of understanding college students and the issues that they face.This book gives important advice to college students in a wide variety of situations that they may face during thefirst few years of college.I love this book and highly recommend it forstudents and even parents to read! 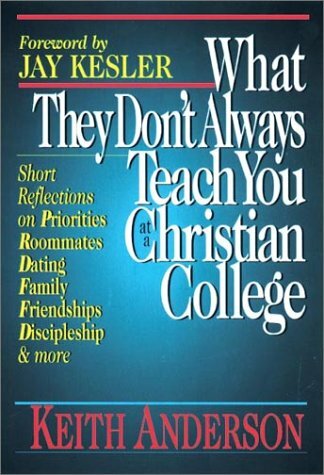 It would make a great graduation giftor for anyone about to embark on the college journey, whether at aChristian college or not! I quite agree with Darkgenius' comments on this book. It does not actually give any of the answers that the title implies. Rather, it seems like a kind of satire of nonbelieving parents, churches and Sundayschools. I read it and felt more like it was poking fun at the whole question rather than offering helpful advice. Additionally, the presence of 2 or 3 uses of d--n, 1 use of a--, a reference to Junior's parents being "in the sack", as well as other less-than-reverant elements all make me wonder if this book is really meant as a mockery, rather than a helpful guide. It certainly wasn't written from the perspective of a Christian parent. 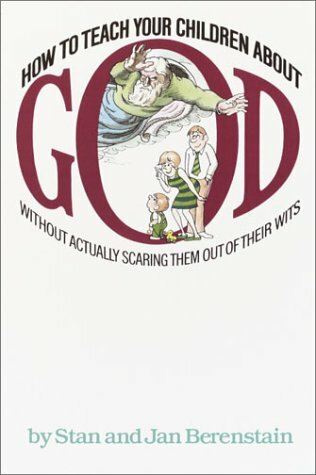 Stan and Jan Berenstain, most famous for the Berenstain Bears series, published this nifty little book back in 1971 (it was reprinted in 1984). The title is self-explanatory, but this cute little book raises more questions than it answers, in my opinion. For one thing, the target audience is unclear to me - you would assume from the title that the book is indeed geared toward parents. The cartoon drawings that correspond to the short text, however, would seem to be drawn with children in mind. One might then speculate that the book is designed to be shared between parents and children, but the presence of a couple of mild expletives in the text will no doubt cause parents to keep this book away from the eyes of their youngsters. The main problem, though, is the fact that this book really does not answer the question it poses. The authors show you why certain approaches to the task at hand (namely, telling Junior who or what God is) do not really work, but there is really no strategy laid out in terms of how parents should answer these questions. One can see what not to do, and this information is actually quite helpful: don't run away from your children's questions about God, don't just throw the kid into Sunday School and expect him to learn everything there (especially if you do not attend church yourself), and don't depend on the good old "Now I lay me down to sleep" bedtime prayer. The authors make an especially good point here. Expecting your child to go to sleep - in the dark - immediately after "praying" that God will take his soul if he should die during the night can actually scare the child - especially if he has no grounding in religion, for he is apt to take the soul-stealing reference quite literally. It is a principle responsibility in Judaic theology and practice for children to be carefully instructed in the elements of their faith. 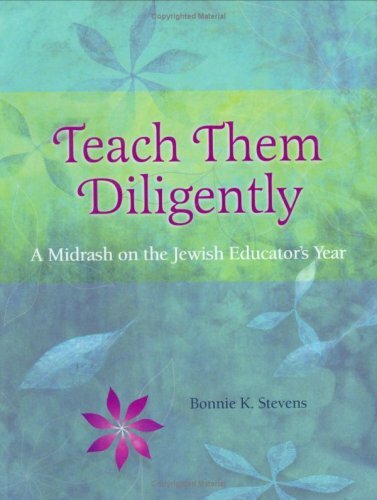 In "Teach Them Diligently: A Midrash on the Jewish Educator's Year" author Bonnie K. Stevens draws upon her years of experience and expertise as a religious-school teacher to present a thoroughly 'user friendly' educational resource for parents, youth leaders, and teachers with respect to incorporating Jewish holidays with an educator's year-based curriculum by utilizing each holiday's core ideas and distinctive symbols. As the new school year begins the emphasis is on the fall holidays of Hanukkah and Tu B'Shevat, then as the months progress the Jewish holy days of Purim, Passover, and Shabbat are featured with the context of the classroom. Superbly organized and presented, "Teach Them Diligently" is highly recommended as a Judaic Studies curriculum supplement and instructional guide. Excellent! Excellent! Excellent!!!!!!!!! 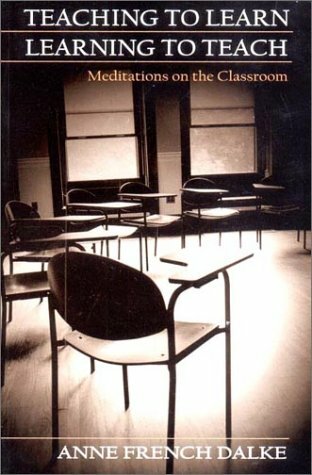 A must for anyone who think that they are called to teach Christian Education, should be a required reading and study for Christian Education teachers and leaders. 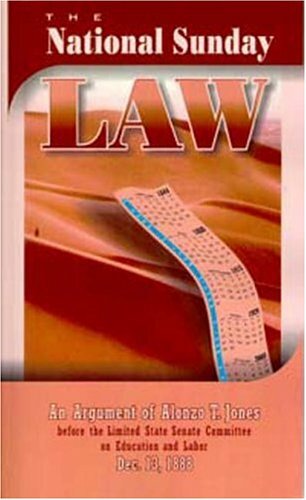 Where uncertainity lies, this book provides clarity! 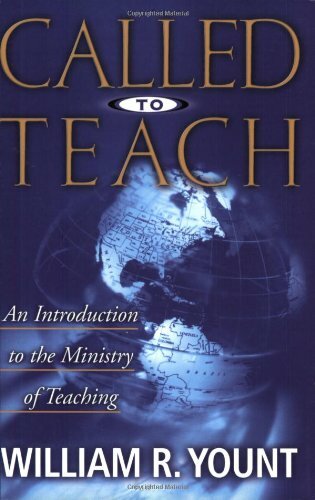 Called To Teach by William Yount is an excellent book for all interested or gaining knowledge in the field of teaching.It can be used within a diverse assortment of subfields such as Christian Education, Motivational/Inspirational Speakers, Generalized Public Speaking,Private or Ppublic Education,and Trade teaching occupations.It provides the scientific,psychological, and biblical aspects to the foundations of education incorporating the teacher and student and the roles they play as recipients or initiators.The imagery within the book are true to life scenarios so relating to the issues are almost innate.Nyack College has incorporated another book of William Yount and I will not hesitate to share what I have learned from this one. This book should be in every teachers' library. This is not a scholarly or even research based book. It is purely the experience of the author, which is pretty substantial. It is a good resource, but does not hold the scholarly underpinnings that will make it stand the test of time.